Fans got an early preview of playoff-like hockey on Saturday night at Bear Mountain Arena, complete with some late shenanigans as tempers flared after the final whistle. Leo Fitzgerald scored on the power play at 13:05 of the second period and Brady Rouleau stopped 27 shots as the Victoria Grizzlies pulled out a tight 2-1 triumph over the Chilliwack Chiefs in B.C. Hockey League play. Newcomers Pearce Eviston and Keyler Bruce both made their presence felt. Bruce was physical for the Grizzlies as the former Cowichan Valley Capitals captain caused a ruckus for most of the night. Eviston collected the game-winner at 9:01 of the third period. Austin Plevy snapped Rouleau’s shutout bid at 17:00 of the third. A number of penalties ensued in the late going and Grizzlies general manager and head coach Bill Bestwick was handed an ejection with 9.9 seconds to go as he attempted to stop a melee between the benches that brought security in. It got tense at the conclusion as all players were on the ice and a pair of tussles occurred, but cooler heads prevailed. Picked up in a trade for Garrett Skirbich and future considerations on Thursday, Bruce dropped the mitts with Kiefer McNaughton just prior to the opening goal. “Keyler has been one of the toughest players game in and game out to play against. We are excited to have his energy on our side,” Bestwick said of Bruce before the game that went late. It was Victoria’s fourth straight victory and the Grizzlies remain in first place overall in the BCHL. It was a scoreless first period as the Grizzlies out-shot the visitors 14-8, after falling behind 7-5 on the shot clock 12 minutes into the game. Victoria, with the league-leading power play, failed to score on three man-advantage situations in the opening 20 minutes. The Grizzlies’ power-play unit came in with a 24.29 scoring percentage, leading the league with 43 goals with the extra man. 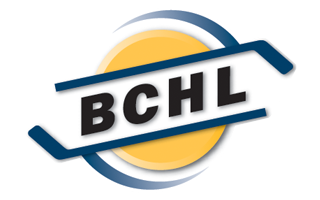 Chilliwack, however, was tops in the BCHL in penalty killing on the road at 84.85 per cent prior to the start. 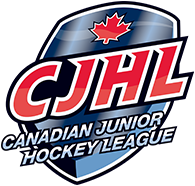 Victoria managed to kill off a Chilliwack two-man advantage for 1:34 almost midway through the second period. Fitzgerald then scored on the power play as the Chiefs were caught with too many men on the ice. The Grizzlies improve to 26-9-0-3 for a league-leading 55 points while the Chiefs slip to 23-12-1-1. Mitch Gillam made 31 saves in the loss, including a penalty shot stop on Mark McLellan with 3:55 to go. Victoria travels to Alberni Valley on Wednesday before playing host to Cowichan Valley on Friday and Vernon on Sunday.